The compact Model 462 combines inviting aesthetics and functional weather protection inside a 6’x10’ footprint with a minimal but effective 2’6” overhang canopy. 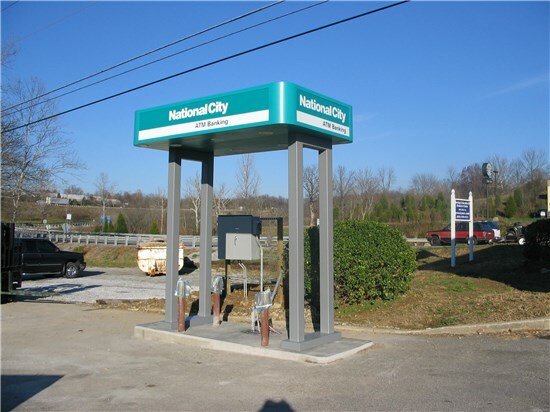 Like all our freestanding canopies, its modular design allows clients to replace a single elevation sign box or corner as needed, which can amount to a considerable cost-savings over time. This unit is often deployed at bus stops. Concept Unlimited works to customize your freestanding canopy to fit your ATM and location needs. Call us today for a canopy solution.